In breeding plumage, the Northern Shoveler is a handsome bird with striking rufous along its flanks and a bright green head. 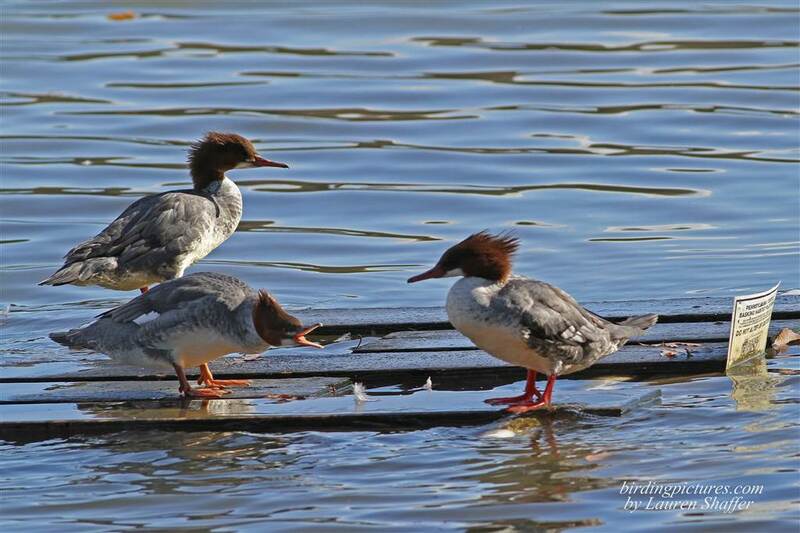 These colors are greatly muted in non-breeding plumage seen in the following photos taken in fall in Cape May, New Jersey. 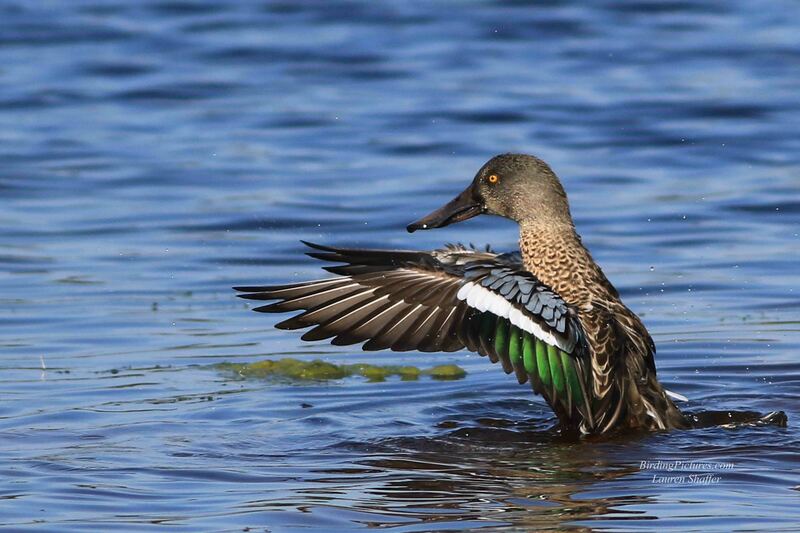 The beautiful sky-blue shoulder patch and green speculum are visible while the duck is bathing. 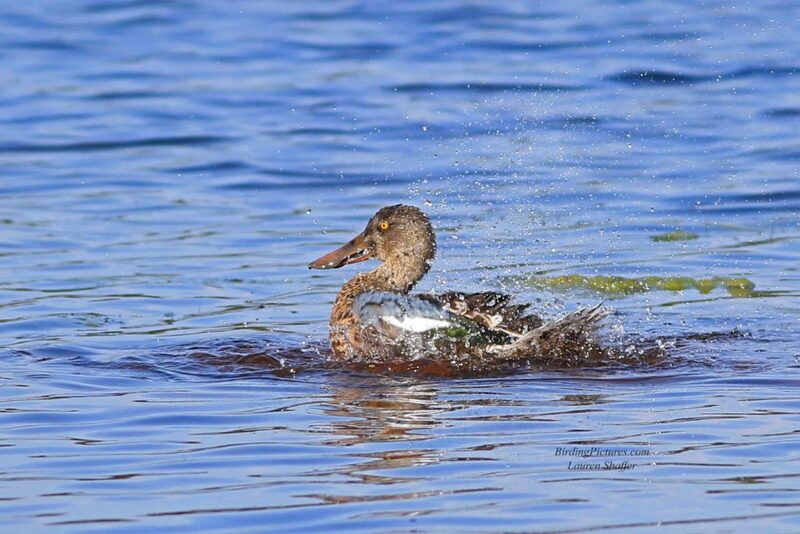 Shovelers often feed with their heads down while sweeping their bills back and forth through the water, sifting out food. Even in non-breeding plumage males have a bright yellow eye. 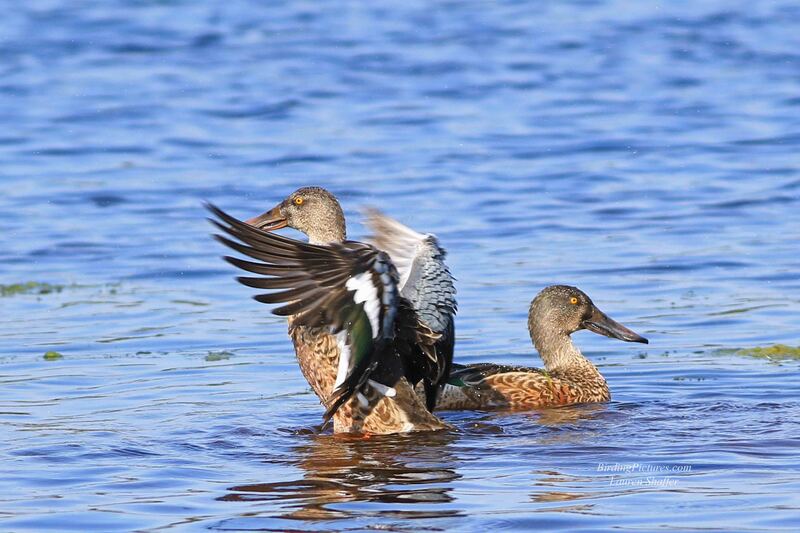 These are both males. 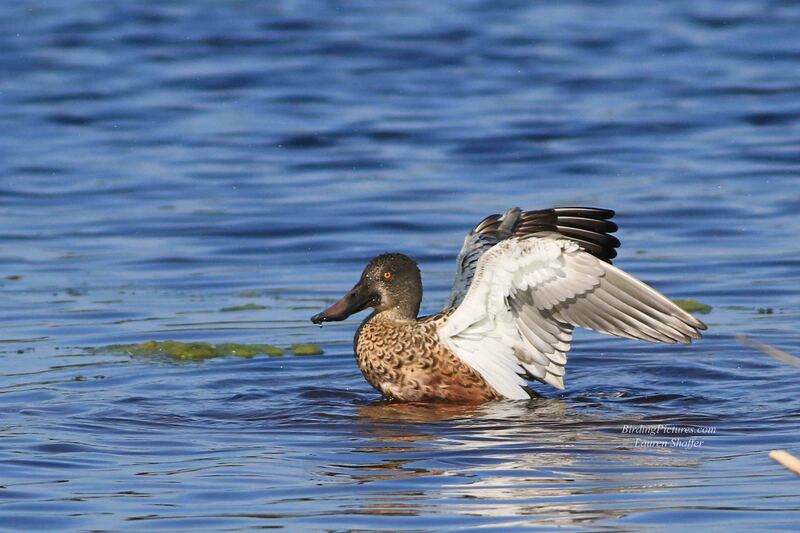 Shovelers are monogamous, but probably not for life. 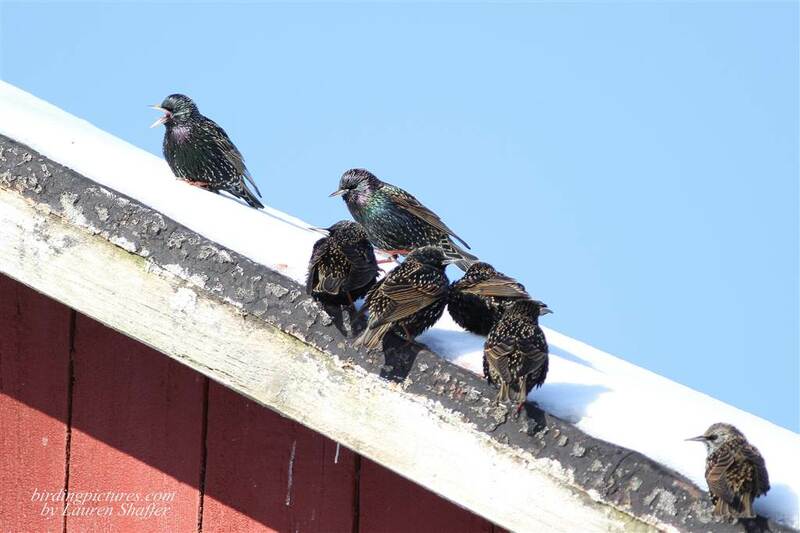 They will stay together until fall migration. 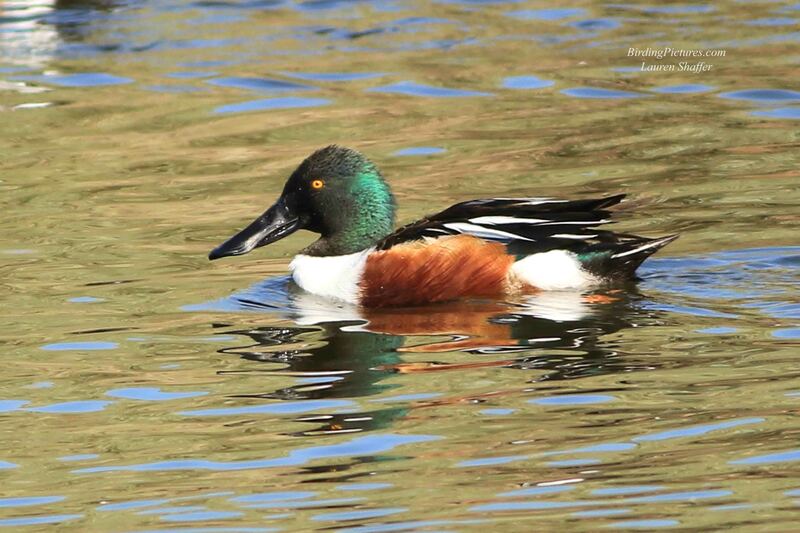 With its glowing yellow eye, huge spoon-shaped bill, and gorgeous coloring, the Northern Shoveler is a striking duck.